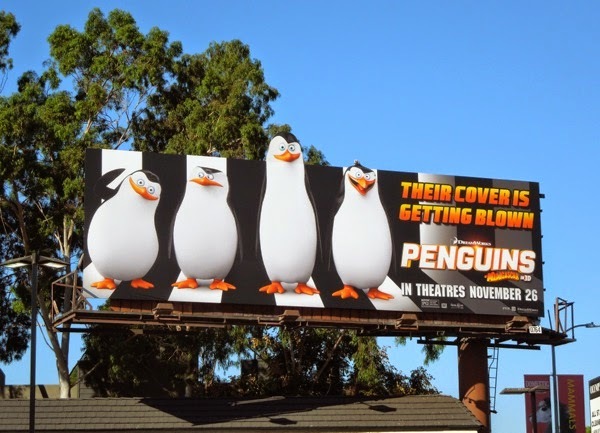 In the past DreamWorks Animation's Madagascar film franchise billboards have been a load of fun and a riot of colour, and even though their newest big screen spin-off, Penguins of Madagascar, may rely more on the birds signature black and white in their outdoor ads, they are no less eye-catching. 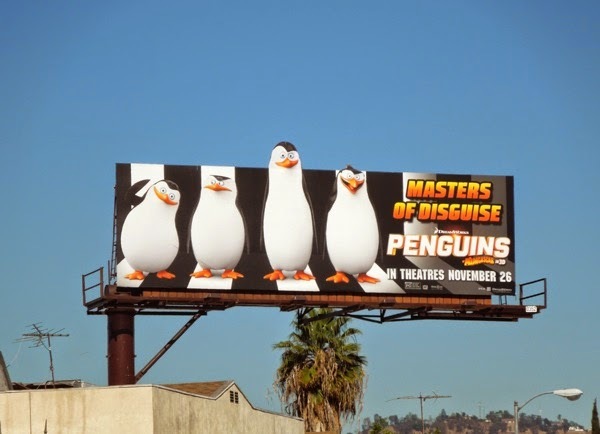 This November the secret's out, as 'Skipper', 'Kowalski', 'Rico' and 'Private' are revealed as super spies and 'masters of disguise', but with this animated movie 'their cover is getting blown' in order to help save the world from a dastardly foe. 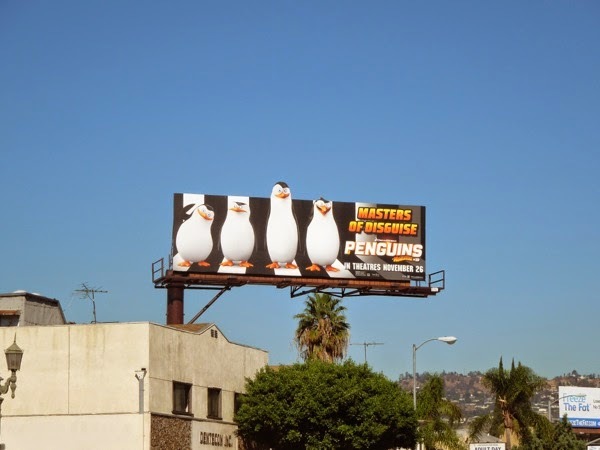 These undercover penguins are doing anything but blending in with these fun striped billboard designs in the skies of L.A. 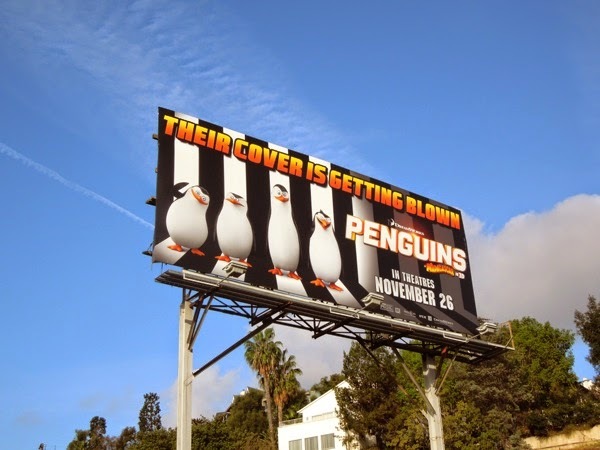 The humorous special extension billboards were first snapped along La Cienega Boulevard at Olympic Boulevard on October 29 and later nearer Pico Boulevard on November 5, whilst the standard format ad creative was spotted along the Sunset Strip on November 13, 2014. 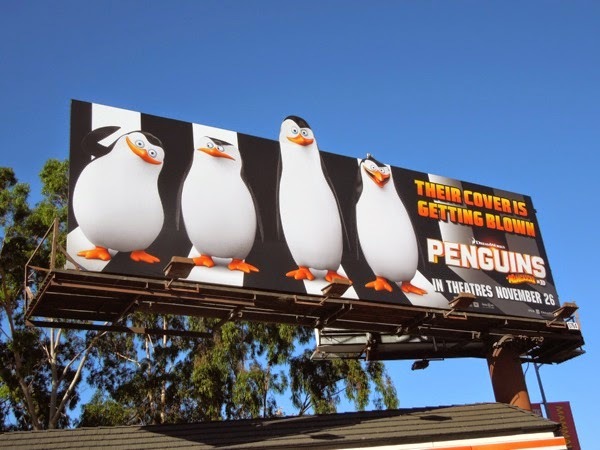 If you're a fan of the DreamWorks Animation characters, be sure to enjoy these fun Madagascar 3 movie billboards from Spring 2012 and more animal antics in these Kung Fu Panda 2 movie billboards from Spring 2011. 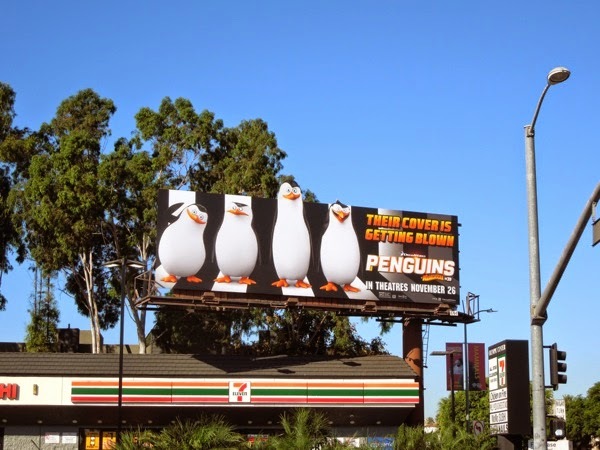 Plus if you're a penguin lover, you should also take a look at these Happy Feet Two movie billboards from Fall 2011. 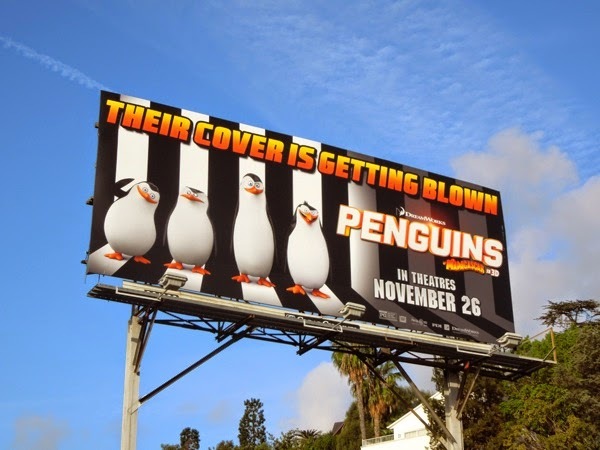 Only time will tell if we'll be thankful for the birds getting their own feature film, or whether this was one flipping tale best left untold.